The sneak peek will present the never-before-seen footage at the awards show this Sunday. MTV will debut an exclusive sneak peek from Warner Bros. Pictures’ super villain movie “Suicide Squad,” at the 2016 MTV Movie Awards. The sneak peek will present the never-before-seen footage to their fans at this annual award show which will be hosted by Dwayne Johnson and Kevin Hart. The awards ceremony will air on Sunday, April 10 at 8:00 p.m. ET/PT from the backlot of Warner Bros. Studios in Burbank, Calif. Previously announced presenters for “The Movie Awards” include Charlize Theron, Chris Hemsworth, Jessica Chastain, Chris Evans, Seth Rogen, Zac Efron, Olivia Munn and Gigi Hadid. Additional presenters and performers will be announced at a later date. 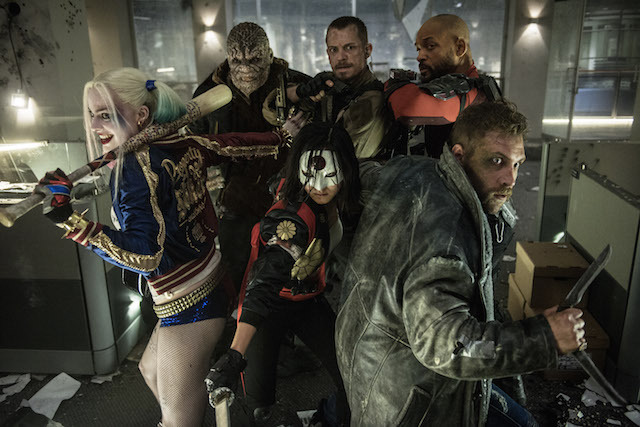 Written and directed by David Ayer (“Fury,” “End of Watch”) and based on the characters from DC Comics, “Suicide Squad” follows a team of the world’s most dangerous, incarcerated Super Villains who are sent on a mysterious mission. The film also stars Jared Leto, Margot Robbie, Joel Kinnaman, Viola Davis, Jai Courtney, Jay Hernandez and Adewale Akinnuoye-Agbaje.